Children’s Mental Health case management is a voluntary service provided at the request of a family whose primary concern is the unmet mental health needs of their child. A CMH case manager assists the family in obtaining appropriate community resources and services for their child and works with other providers to coordinate the care of the child. CMH case management involves regular contact with the child and family and continual assessment of service needs to assist the family and the child in becoming as self sufficient as possible. Decisions regarding out-of-home placement are based on the individual needs of the child, a preference for keeping the child in the community, and the requirement to make use of the least restrictive setting that can address the child’s needs. Our first goal is to keep children in their family home if possible. Any out-of-home placement made by the county is carefully reviewed before being authorized. A Children’s Mental Health Case Manager will discuss all service options with you and with the other professionals working with your child and will help your family obtain the treatment services that best meet your child’s needs in the least restrictive way. 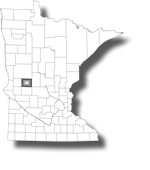 For more information about Children’s Mental Health Services in Minnesota, visit the Minnesota Department of Human Services (DHS) Children’s Mental Health website.